We’re not exactly the types to require an excuse to crack a bottle of wine on a Saturday night, but here’s one more reason to go ahead and do just that—a new, limited series of Saturday Night Live wines. 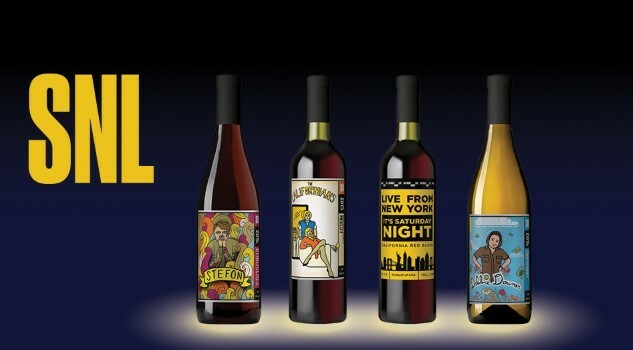 Winemaker Lot18, in collaboration with SNL, has created a new wine collection in honor of the classic sketch show (currently in its 43rd season), which also pays tribute to some of the show’s more memorable characters from recent years. Four wines were created in total—three that are character-driven, and one that is a general SNL tribute wine. The just-announced wines are already available for pre-order, which you can check out at this link. Single bottles are $20 a pop, while you can get the full set of four at a bit of a discount, for $70. It’s a limited run, so they’ll presumably sell out fairly quickly. Lot18, if you’re not familiar with the company, is a wineseller that sources wine from a variety of vineyards around the world, before packaging and distributing them for various companies. For this lineup, they’ve delivered three reds and a white: A California red blend, a French Beaujolais, an Australian Chardonnay and a California merlot. Of all the pairings, we have to compliment the Stefon one most—a soft, jammy, red fruit-driven Beaujolais strikes us as exactly the kind of thing that he would probably dig. Check out the winemaker’s complete descriptions of each bottle below, along with the amusing labels. 2016 Saturday Night Live California Red Blend: Bold and dense, this wine is a blend of 73% Merlot, 18% Zinfandel and 9% Petite Sirah. A portion of it was aged in used Bourbon barrels to impart an oaky flavor and enhance its crowd-pleasing style. On the palate, the wine shows black cherry, black plum, vanilla, dried herbs, oak flavors along with firm, chewy tannins. Enjoy this uncompromising red with a big, juicy steak. 2016 Stefon Beaujolais: This easy-going, medium-bodied Beaujolais shows off quintessential characteristics of the variety, featuring juicy, exuberant red fruit flavors of cherry and cranberry alongside savory notes of violet and black pepper. Enjoy this jubilant red on its own, or take advantage of its versatility and pair it with anything from poultry to pork to salmon. 2016 Debbie Downer South Eastern Australia Chardonnay: Rich and creamy, this Australian Chardonnay starts off with enticing aromas of toasted oak and nuts. On the palate, the wine bursts with citrus and orchard fruit, the flavors focused by a balancing vein of acidity. This is a delightful wine to sip on its own, but it would also make a wonderful foil for creamy, lemon-accented dishes such as seafood risotto. 2015 The Californians Monterey County Merlot: The grapes for this exquisite Merlot were sourced from sustainable vineyards and grown in mineral-rich soils, which produce plush yet structured wines. Concentrated and ripe, with flavors of black cherry, plum and roasted coffee bean, this is a rich and more full-flavored example of Merlot, to be savored with braised or grilled red meats.